With Computex in full swing this week, AMD’s press conference just wrapped up for the morning. While the bulk of the news in the conference was on AMD’s CPU and APU plans – where the company continues to roll out new Ryzen products – the company’s CEO, Dr. Lisa Su did have a bit to say on the GPU side of matters. First off, the previously announced Vega Frontier Edition card will be available on June 27th, just making AMD’s previous H2’17 commitment for Vega. The Frontier Edition is AMD’s first batch of Vega-based cards, and is being marketed specifically towards early adopters in the professional segment. A price has not been announced, but expect it to be high. 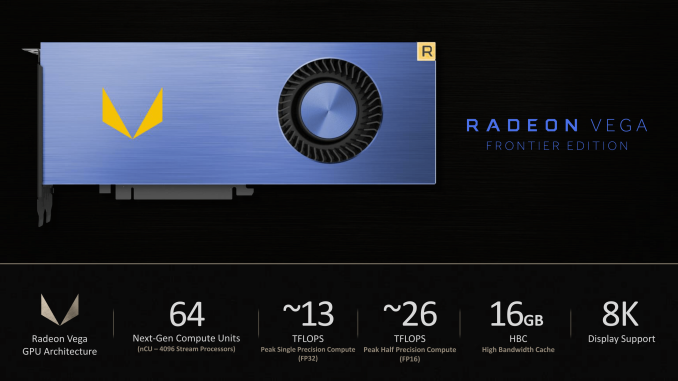 Second up, Lisa promised more information on the Vega-based Radeon Instinct MI25 on June 20th. This is when the company will be launching their Epyc processor for servers, so they are aligning server/datacenter announcements across product lines. Instinct won’t be launching here, but we should get at least a few more details on configurations and positioning. 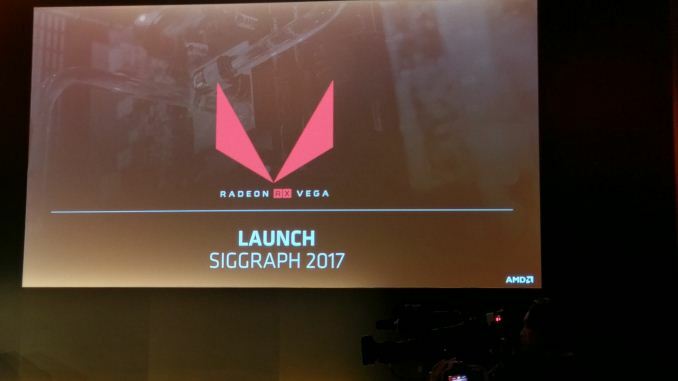 Finally, in the piece of news that pretty much everyone has been on the edge of their seats for, AMD has finally announced a date where they’ll announce the consumer-oriented Radeon RX Vega. The mythical card’s launch will be taking place at SIGGRAPH this year, the Association for Computing Machinery’s annual graphics conference. 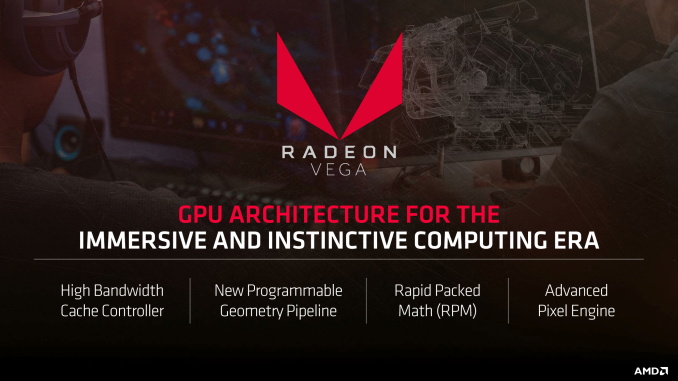 SIGGRAPH is an interesting choice for a venue, as it’s not a consumer event (as opposed to say E3 or IFA), but AMD is no stranger to the show, having launched their Radeon WX professional products there last year. SIGGRAPH runs from July 30th to August 3rd, so it’s almost exactly 2 months out. For anyone looking for any further details on RX Vega however, you’re out of luck. To AMD's credit, they are clearly well aware of pent-up consumer interest in the card and they did show a demo of CrossFired RX Vegas playing Prey at 4K, but they are not revealing any additional information on the card or its specifications at this time. This information is presumably all going to come at the same time at SIGGRAPH. The million dollar question now being whether the SIGGRAPH event is a hard launch, or whether AMD will unveil the products and then have them ship a few weeks later, which would be similar to how the Polaris launch went down.